You can’t find great food by yourself. Listening and trusting your friends can lead to great moments. 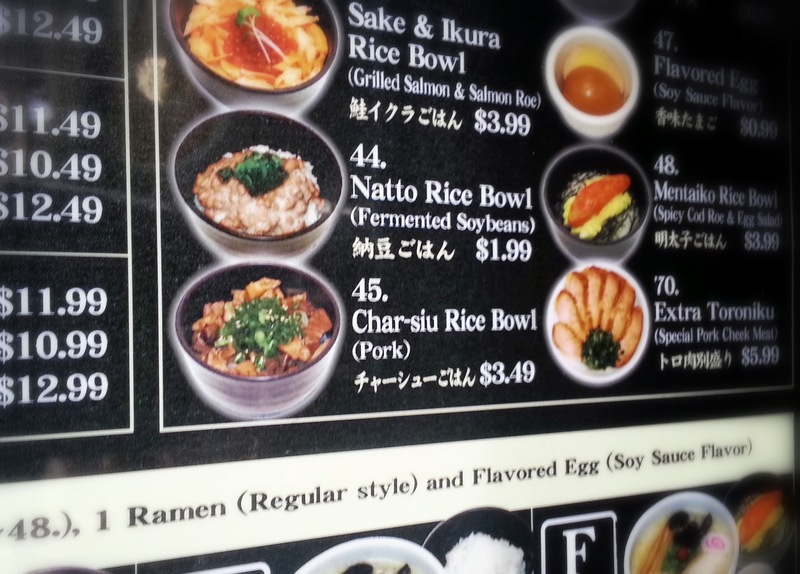 Like finding the perfect little bowl of Charsiu Pork at the Santouka Ramen place in the Costa Mesa Mitsuwa Market. My friend ordered this the last time we were here and I thought he was crazy, I mean how good could a dish be when it costs less than $3.50? I don’t know if I’ve ever had a better meal for under $4.00. The pork is tender and flavorful, but what really makes this dish is perhaps the greatest rice I’ve ever eaten. 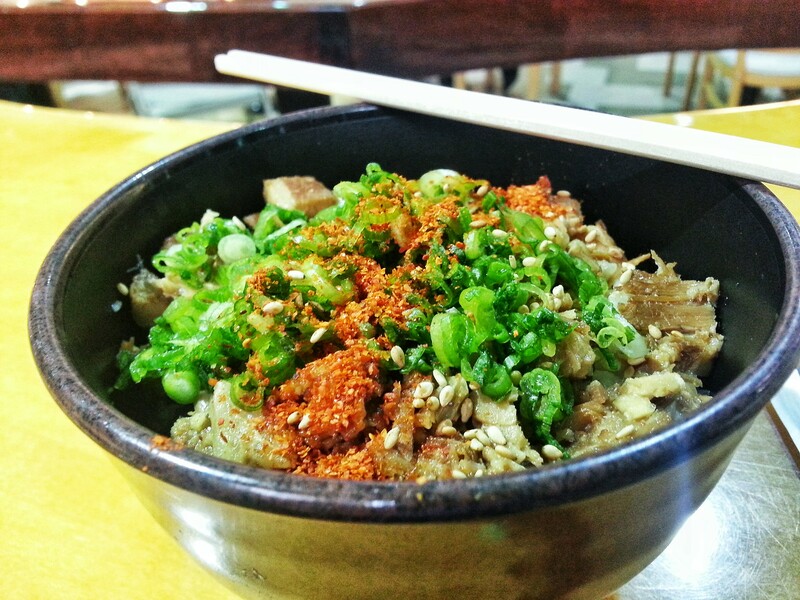 The rice has absorbed just enough of the broth/pork to balance that line between steamed rice and soup rice. You can’t stop eating it. Posted in Cheap Eats, Costa Mesa, japanese, Lunch, Pork, rice, Southern CaliforniaTagged Charsiu, Cheap Eats, costa mesa, Friends, japanese, Lunch, Mitsuwa, Perfect Rice, Pork, Rice Bowl, Santouka, The BeatlesBookmark the permalink.